The trachea at the level of sternal angle will divide into two primary branchi. Right bronchus is shorter, wider and vertical. Left bronchus is longer, narrower and oblique. Each Primary bronchus will divide into secondary bronchi which will supply each lobe of the lung. 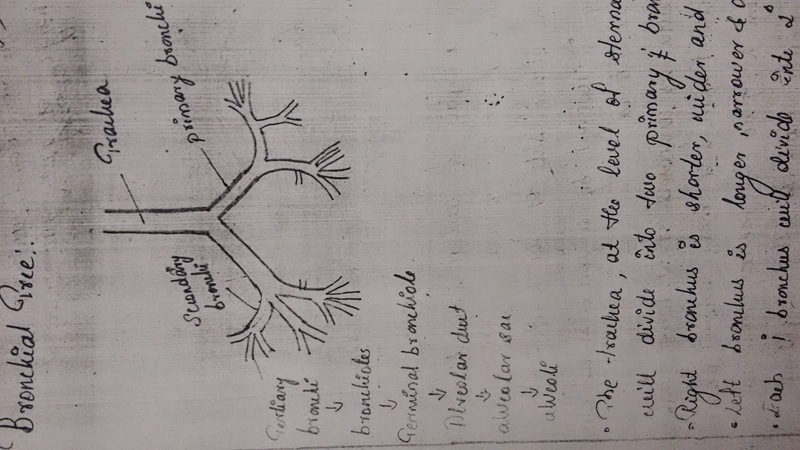 On the right side there are 3 secondary bronchi and on left side there are 2 secondary bronchi. 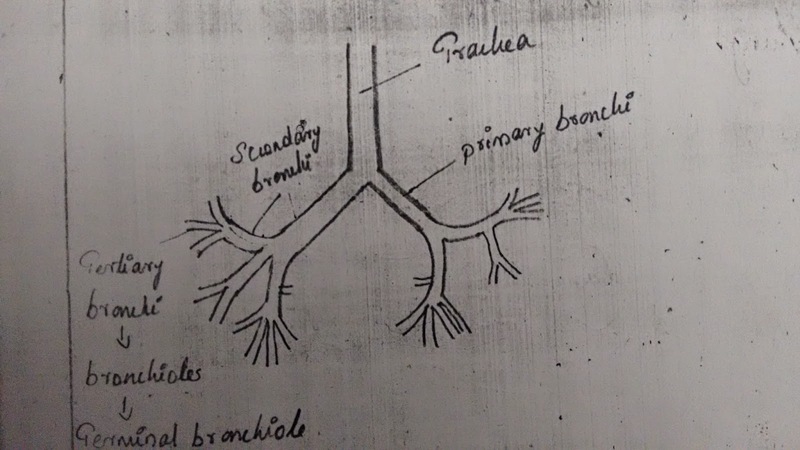 Each secondary bronchus will divide into teritiory bronchi which will further divide into teritiory bronchioles, alveolar ducts, alveolar sac, and finally alveoli. These are the functional units of lung where exchange of gases will occur. this subject. I really like all of the points you have madе.